Chaplain Colonel Michael D. Sproul will be the guest speaker for the National Day of Prayer on Thursday, May 3, 2018, at 10:00 a.m. in the ballroom of SunBird Golf Resort, 6250 S. SunBird Blvd., Chandler. 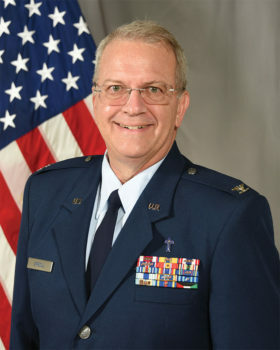 Chaplain Colonel Sproul is the Air National Guard Assistant to Command Chaplain United States Air Forces Europe and Air Forces Africa. He advises USAFE-AFRICA and ANG leadership on all matters that pertain to religious freedom, accommodation, morale and related activities of the Air National Guard Chaplain Corps. He developed and facilitates the first of its kind integration of the ANG Chaplain Corps members into USAFE-AFAFRICA which has resulted in multiple Air Guard religious support teams trained and deployed to serve at the MAJCOM HQ and base level. Chaplain Sproul has served the military in active duty, Air Reserve and Guard, deploying three times in his career, one at a major transit base in Central Asia. He has received many major awards and decorations. The National Day of Prayer pre-program music will begin at 9:30 a.m. when a brass ensemble will play patriotic and military music. The morning program will also include special featured vocal soloists, ensembles and instrumentalists. Unity is the theme for this year’s National Day of Prayer. Several from the area, including those from various ethnic groups, will read scriptures and lead in prayers for our military, our government, our education, our business, our churches and our families. All are welcome to come to this special free event sponsored by the Sun Lakes Women’s Connection. 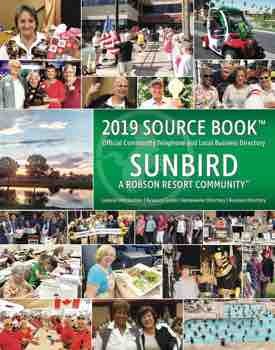 The SunBird Golf Resort is on the south side of Riggs Road between McQueen and Cooper at 6250 S. SunBird Blvd., Chandler.